The past few weeks have been pretty crazy. It's hot and humid during the day, but towards the afternoon, the sky can't seem to stop crying. 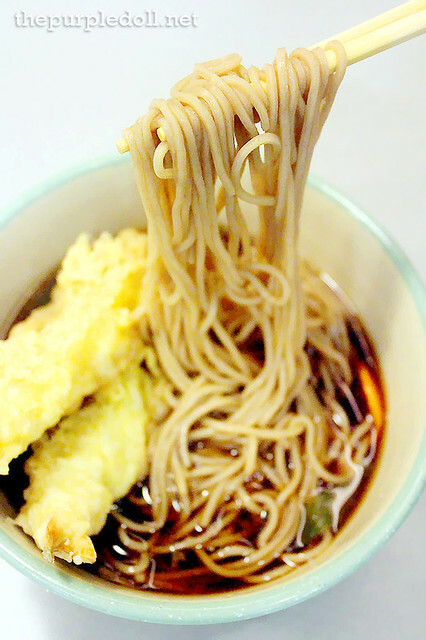 And when it starts raining cats and dogs, there's one comfort food that tops my list -- a hot bowl of noodle soup! Good thing one of my favorite Japanese noodle shops now has a branch at SM North EDSA The Annex -- it's the hip and happy urban diner Moshi Koshi Noodle Boss. 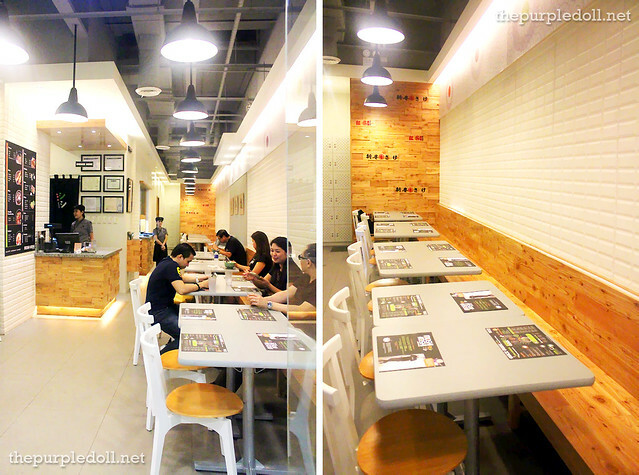 I first came across Moshi Koshi last year when The Foodies Circle visited their Shaw Boulevard outlet. 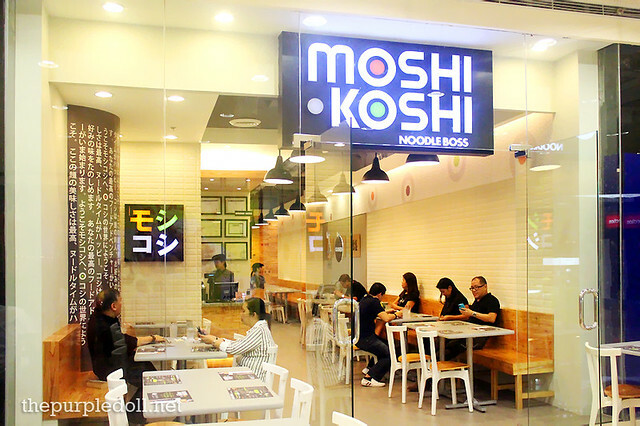 Fast forward to 2013, Moshi Koshi transferred to Robinsons Galleria and opened 2 more branches, one in Market! Market!, and the other at SM North EDSA The Annex. Now, this is good news to mall goers craving for good Japanese noodles. Amidst the ramen craze in the Metro, there's Moshi Koshi which offers authentic and great quality noodles for more reasonable prices, at a fraction of other players' price tags. Like how I remember the Shaw Boulevard store, the Moshi Koshi branch at SM North EDSA The Annex also exudes a Japanese ramen house atmosphere, but with a touch of modernity. The place is drenched in clean whites and grays with wooden fixtures here and there. It houses more tables too, and can sit about 40 guests comfortably. 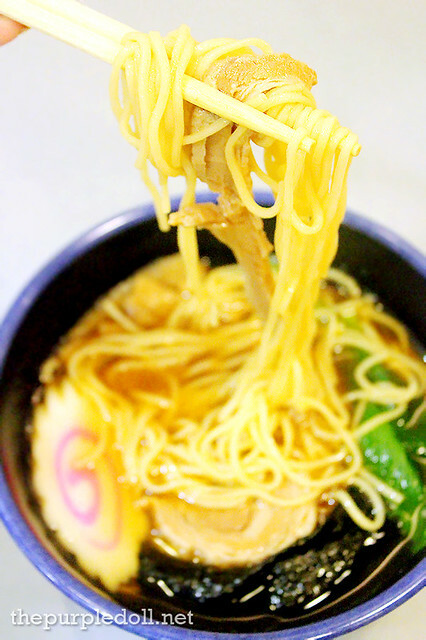 Unlike other Japanese ramen joints boasting of their meticulously prepared broths, Moshi Koshi being the noodle boss prides itself on specializing on none other than the noodles. They make their noodles fresh, in-store every day, and just like how the Italian's do their pasta noodles al dente, Moshi Koshi prepares their noodles to a beautifully tender, chewy and firm state which is known as koshi. 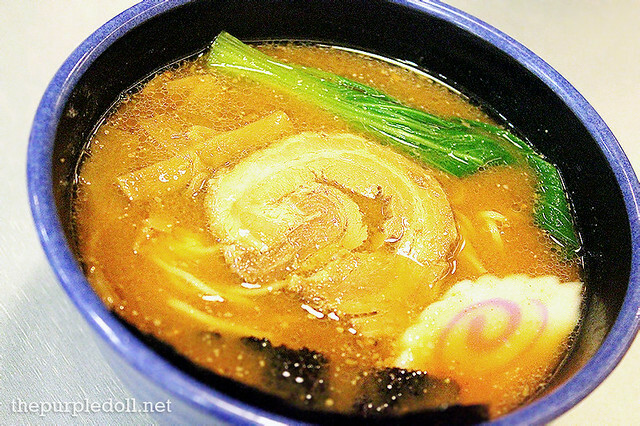 Served with pork slices, vegetables, nori (dried seaweed) and narutomaki (Japanese fish cake) in a soy sauce-based broth, this bowl truly held the promise of koshi wheat noodles. With every mouthful of noodles, you get an enjoyable chewy bite that other ramen joints don't offer. And while I'm more partial to miso-based ramen broths, the shoyu broth got me digging in. It was savory, a little salty, and clean-tasting. I usually love my soba cold, but this hot bowl of buckwheat noodles in mentsuyu (multi-purpose noodle sauce) broth with leeks, carrots and ebi tempura was also enjoyable. I particularly liked slurping the koshi soba noodles since this is also how I usually do my instant soba at home. Of course, this tasted a whole lot better since the noodles were freshly made. They have this hint of sweetness that makes every mouthful a delight. Honestly, udon has a simpler flavor than ramen and soba. However, when served koshi, this is the most enjoyable in texture among the three as you really get to experience its chewiness thanks to its thick strands. 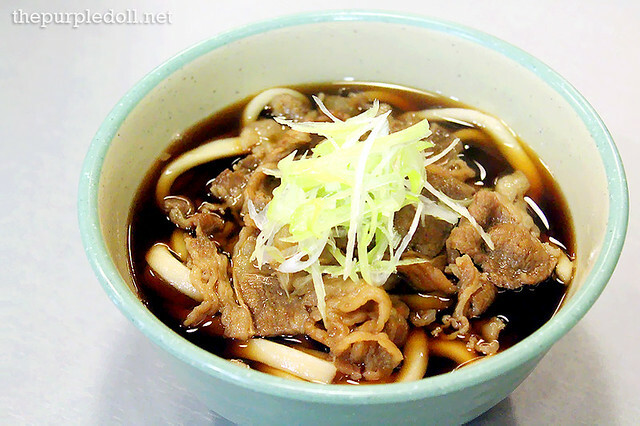 Served with beef slices and some green onions, it comes in a sweet, savory and a little salty shoyu-based broth which reminds me of sukiyaki's. Among all the hot noodle dishes, this is the beau's and my ultimate favorite. We also got to try the fried and more flavorful counterpart of the soba. This time, it came in a sweet, salty and savory sauce tossed with shrimp, pork, cabbage, carrots and some kizami shoga (pickled ginger) to cut through all the hearty flavors. Every mouthful was indeed very enjoyable, but not as enjoyable as the next dish. 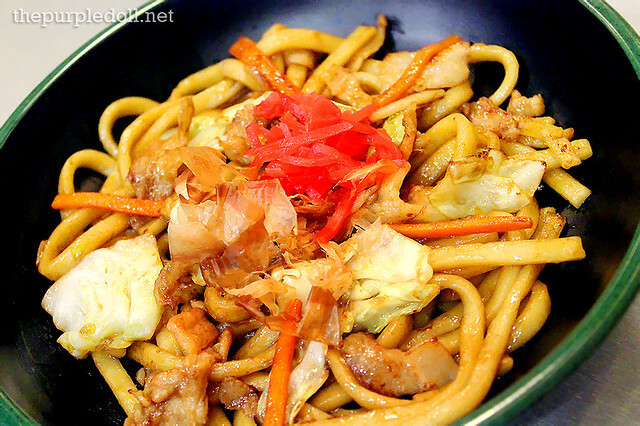 Albeit less expensive than the yakisoba, both the beau and I fell madly in love again with an udon dish. 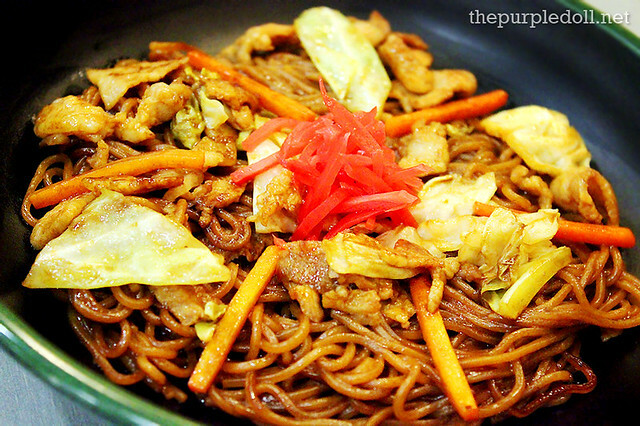 Like the yakisoba, the yakiudon also has the same sweet, salty and savory sauce. It's tossed with almost the same set of ingredients but with the addition of katsuboshi (dried bonito flakes). And although the yakiudon has the same flavor profile as the yakisoba, it's the chewy and firm udon noodles that won our hearts and palates over. The noodles alone are already filling enough. But for those who'd want something to accompany their mains, Moshi Koshi carries some side order items on their menu. 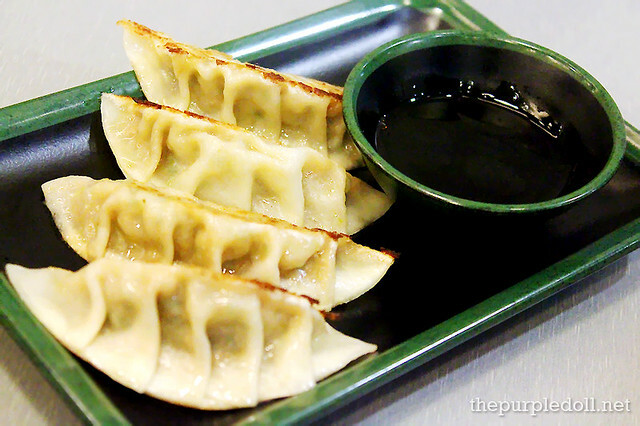 Although I'm not a big fan of gyoza, I really enjoyed munching on these flavorful bundles. The gyoza wrapper has a nice crispy texture on one side, and a soft but firm bite on the other. Encased inside is a moist, juicy and succulent mixture of ground pork and vegetables. For the price, this 4-piece Japanese treat is a must-order. Yum! 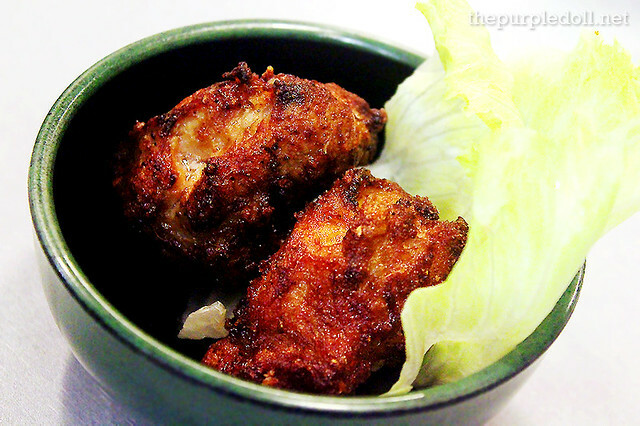 Chicken kara-age has been one of my most frequently-cooked Japanese dishes at home. And while my take is already good enough (for me and for my family), Moshi Koshi's version definitely topped and trampled mine over. Just like how a good kara-age should be, the skin is fried to a crisp while the inside is moist, juicy and succulent. Flavor is spot on too. You get meaty and savory chicken with hints of garlic and ginger. 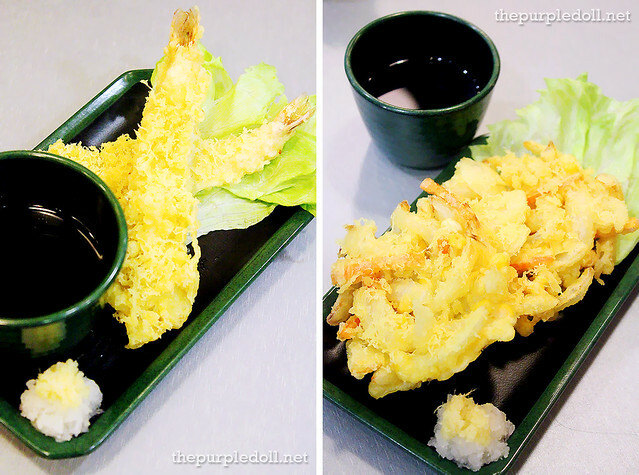 For tempura lovers, Moshi Koshi also carries the prawn and vegetable variants for your munching pleasure. Served with grated daikon radish and a sweet and savory tempura dipping sauce, these two items are no-brainers. They're simply enjoyable! Noodles and meaty sidings already seem enough. 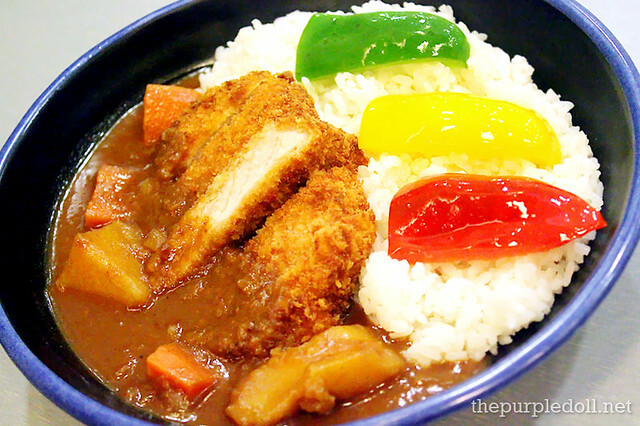 But for my fellow rice lovers out there, Moshi Koshi also has some rice meals to satisfy our rice cravings. 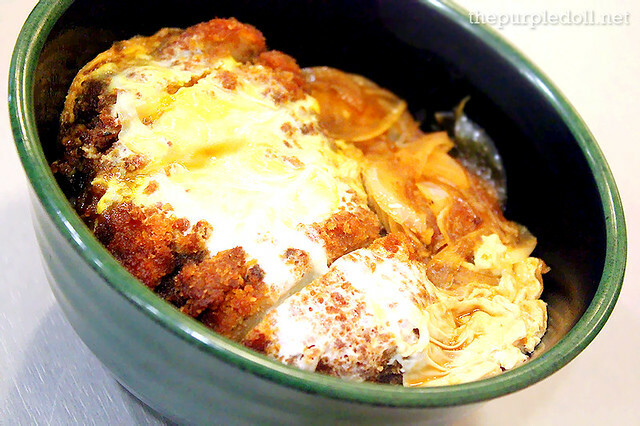 Among famous donburi (rice bowl) items, it's the katsudon I detest the most. Why you ask? It's just that, many of the ones I've tried before failed to impress. Some even made it to my list of my most disgusting meals. However, like how a famous katsu house turned me around, Moshi Koshi's take on it also made a good mark. I enjoyed the crunchy breaded pork, the creamy egg and the savory sauce mixed in the whole thing. Yum! If you're really starving, then a bento order is perfect for you! We got to try the chicken teriyaki variant which comes with 4 side dishes: steamed vegetables, chicken salad, kinpira, and spinach gomae. Every order also comes with miso soup and a bowl of rice. Now, for the taste, the chicken teriyaki is sweet, savory and very succulent. I didn't get to appreciate it fully though as I was already stuffed to the brim. As for the sidings, the spinach gomae still remains a favorite! To end the meal on a sweet note, why not try one (or both) of their ice creams! While the beau dig the coffee flavor for its balanced coffee taste with a hint of silky caramel, I on the other hand, loved the green tea flavor. 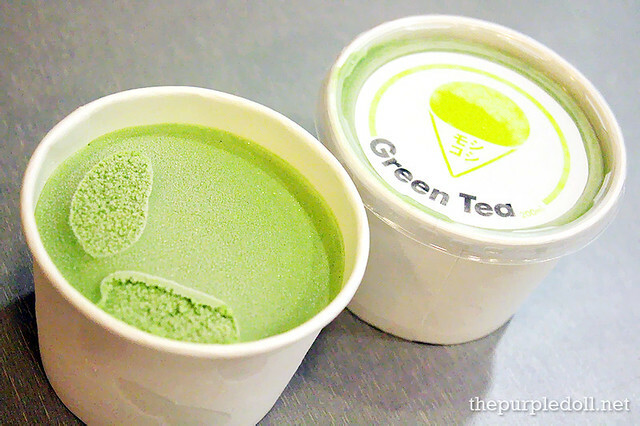 It has a strong matcha taste mixed with addicting creamy goodness -- the perfect dessert to end our filling meal. There may be a good number of ramen joints in the Metro, but Moshi Koshi has remained and will still remain a favorite. With koshi noodle dishes, good-tasting rice meals, and a selection of sidings all at reasonable prices, I just don't think I'll stop coming back for more. Even the beau shares the same sentiment. So Moshi Koshi, see you again soon! Hope you try Moshi Koshi when you go to SM North! :) This place is really a gem! Just the perfect post to read and the perfect place to visit on rainy day Sunday. 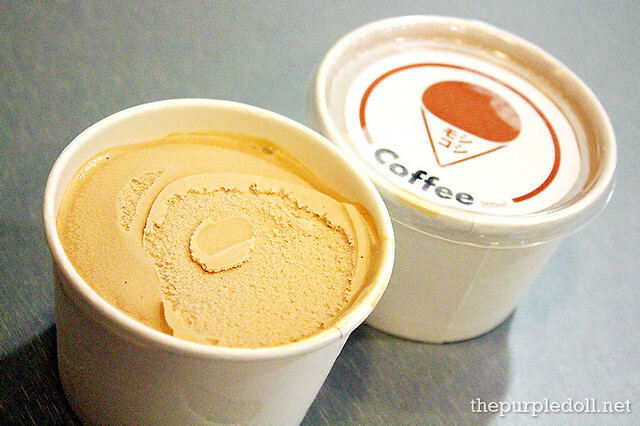 This one's a must try since it's among your favorites. The food looks really delicious. Judging with your verdict,this food establishment is really worth the visiting. Sad note it has no branch yet here in Davao. I love japanese food and the restaurant really looks promising! I will definitely seek it out when I'm in the area. Hey these pork slices looks really yummy I am loving it..!! I haven't been here before! Maybe this is a new place! We hope tp gove it a try soon! The Samsung #GalaxyMega Giveaway Winner!